Forget the GOAT debate. Who is the best fighter in the world right now? 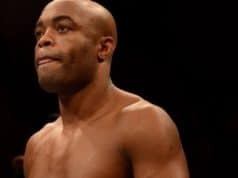 Former middleweight champion Anderson Silva says Conor McGregor is great, but at this moment, Khabib Nurmagomedov is the man. The P4P debate rages on in MMA just as all the other facetious squabbles surrounding the sport. But when a legitimate legend decides to give their two cents on a subject people tend to listen. “Khabib [Nurmagomedov] is a great fighter. I’m very impressed. 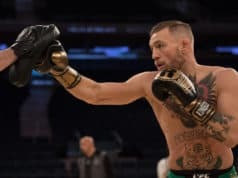 Conor [McGregor] is a great fighter. Having a new generation of fighters, especially in the UFC … this is a huge company that’s worked for a long time to get the great fighters in the sport. I think Khabib is the best, here, in this moment,” said Silva in an interview with Inquisitr. High praise from one of the most dominant champions in combat sports history. Nurmagomedov and McGregor will attempt to settle once and for all when they finally meet face to face in the octagon at UFC 229.